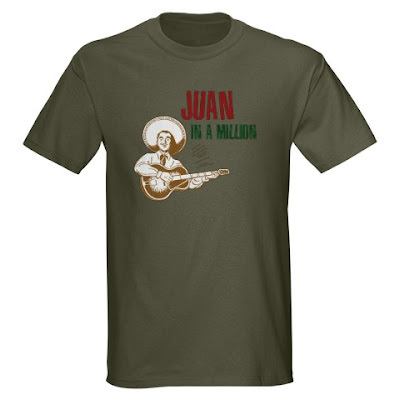 You're Juan in a Million! I think this funny Latino t-shirt requires no explanation. I would suggest purchasing it for that special Juan you know... who is one in million. Or follow this link to Cafepress for more funny Latino Shirts.